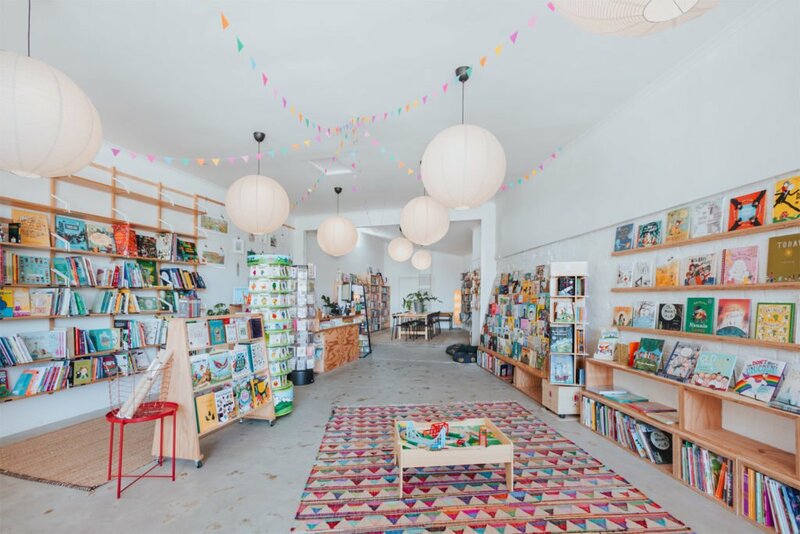 Squishy Minnie is a children and young-people’s independent bookstore celebrating creativity, community & the wonders of reading! We’re located in the beautiful country town of Kyneton, only 60 minutes north of Melbourne. This bookshop is the childhood dream of Kristen, who as a 12 year old decided that eventually, when she got old, she would open a bookstore. She’s not quite old yet (although her 12 year self may argue with that), but the time seemed ripe to give this bookshop business a go. It seemed appropriate, as a kind of tribute to 12 year old Kristen that the bookshop has a focus on children and young adult books. The goal of Squishy Minnie is to be a part of the community and to offer something unique to the Macedon Ranges, a way to complement what is already here (many wonderful book shops and libraries!). Kristen has always loved books – the stories, the characters and the wonderful paper they’re made out of – she wants to share that love with each and every young person (and adult!) that comes in through Squishy Minnie Bookstore’s doors. Squishy Minnie Bookstore acknowledge the traditional custodians of the land, the Dja Dja Warrung people, on which our bookstore is located. We pay our respects to Aboriginal and Torres Strait Islander elders, both past and present and future.